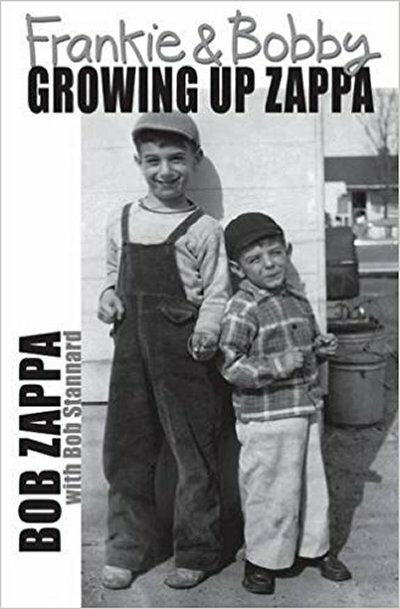 Actually, I wanted to mention the sequel to "Growing Up Zappa", called "The Rest Of Our Story", but then I decided that "Growing Up Zappa" could use some extra attention. Bob Zappa is Frank's three year younger brother. In "Frankie & Bobby: Growing Up Zappa" he talks about their childhood and about events that were important or even decisive for the both of them. Just until the 1967 "Absolutely Freee" shows in NYC. I was a bit afraid that the book would be a bit opportunistic of maybe even voyeuristic, but that's not the case. The book is fun to read and very informative at the same time. Written by Frank Zappa’s younger brother, Bobby, this new “coming of age” memoir provides readers with never before told stories about events that helped shape Frank’s political, social, intellectual and creative development. The book begins with the brother’s time in Maryland from the late 1940’s until the summer of 1967 in New York City before Frank and the Mothers went on their first of many European tours. This fascinating account describes how the two brothers lived through, and handled, a series of events ranging from amusing to life threatening. It is a must-read for anybody interested in Frank’s amazing life that only his closest confidant and brother, Bobby, can tell. ORCHESTRA EXOTICA ALBUM IS OUT !! CRYPTIC ARCHIVE AUCTION IS GO !